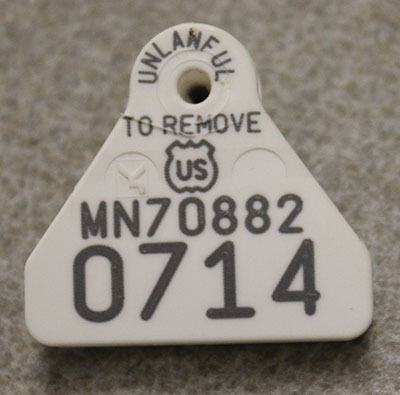 Please be aware, as of April 2019: The USDA has announced a proposal to phase out visual only official identification (ID) ear tags in an effort to move towards official radio frequency ID (RFID) ear tags (beginning with ‘840’ for USA born livestock). The current proposal is that metal National Uniform Eartagging System (NUES) tags, including silver metal and orange Brucellosis vaccination tags, continue to be provided at no cost through the Minnesota Board of Animal Health office until December 31, 2019, or earlier if funds are depleted. 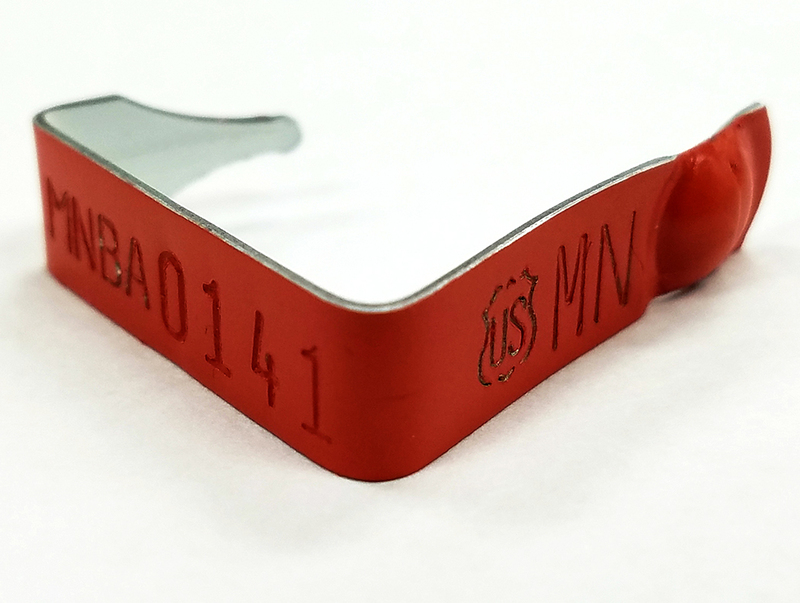 Once the metal NUES tags are no longer available from the Board office, accredited veterinarians will have the ability to purchase them from either Ketchum Manufacturing or National Band and Tag companies through December 31, 2020. Livestock producers may contact their veterinarian or a tag supply company to purchase official ID. As of January 1, 2021, NUES tags (both metal and plastic) are proposed to no longer be available from any source. NUES tags applied prior to that date are proposed to be recognized as official ID through December 31, 2022. NUES ear tags begin with an official state number followed by three letters and then four numbers. The official state number for Minnesota is ’41’. 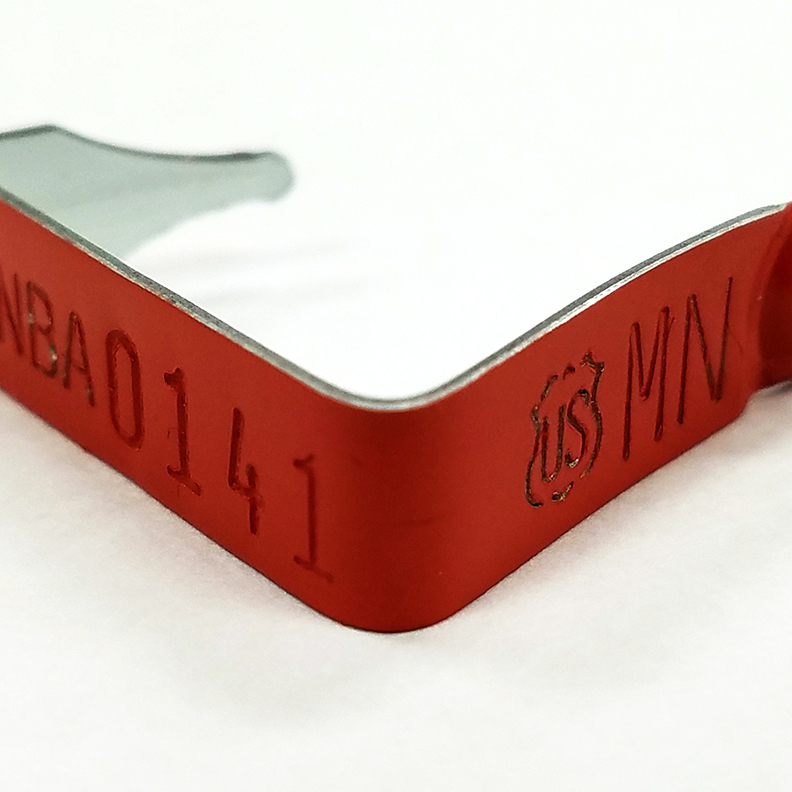 AIN ear tags begin with an official country code followed by an additional 12 digits; 15 digits in total. The official U.S. country code is ‘840’. Administered by Holstein Association USA, Inc. Acceptable if accompanied by documentation listing the breed registration number. Pending registrations are not acceptable. Valid only for movement of cull cattle being imported from an out-of-state market to a state/federal approved market. Official ear tags that are placed in farmed cervidae after January 1, 2018 must adhere to either the National Uniform Ear-tagging System or the Animal Identification Number system. 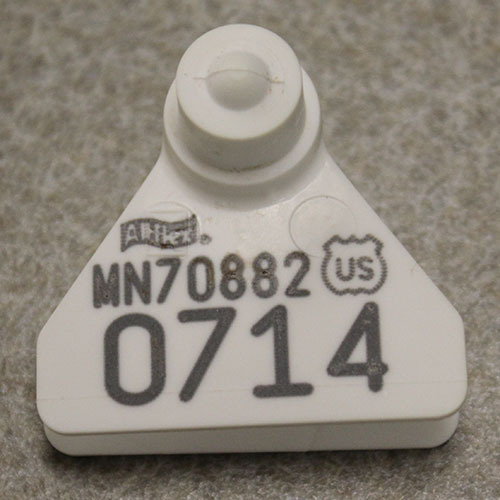 Preprinted tags that include a premises number and unique animal number placed prior to January 1, 2018 are considered valid for movement within Minnesota only. All chickens, turkeys and game birds at exhibitions, except baby poultry, must be identified with a leg or wing band. 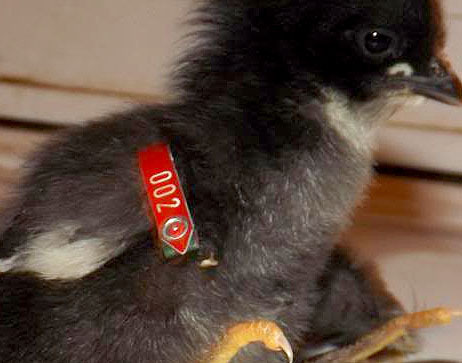 Young poultry that are too small to band can be exhibited/sold as a group if the Hatchery Permit number or NPIP number is written on the cage. 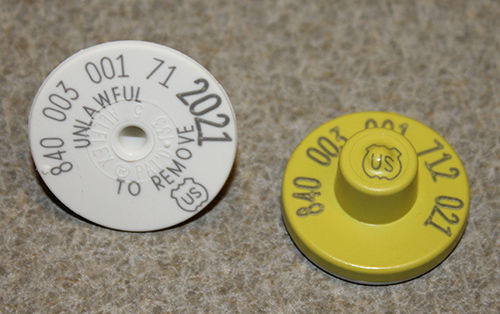 Official eartags must display the US shield. A limited number of free metal serial ear tags are available by calling 1-866-USDA-TAG or by ordering online at this link. 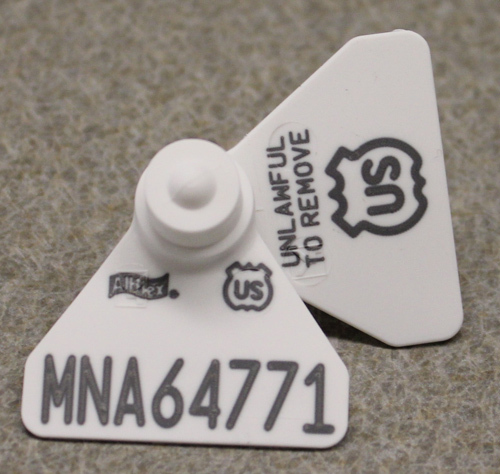 Please be aware, the USDA has discontinued distribution of most plastic ear tags, flock/herd ID tags, plastic and metal ear tag applicators, until further notice. Please visit the USDA’s Sheep and Goat Identification website for a complete description of vendors and identification options available for purchase. Sheep or goat producers who fit all of the criteria below are eligible for up to 80 plastic flock/herd ID ear tags at no cost to them. Have not previously registered with the National Scrapie Eradication program through the Board office. Have never ordered official ear tags through USDA or the Board office. Includes the flock ID number beginning with state abbreviation (maximum nine characters, including state abbreviation) along with a unique herd management number (maximum six characters). Available for purchase in plastic or metal. 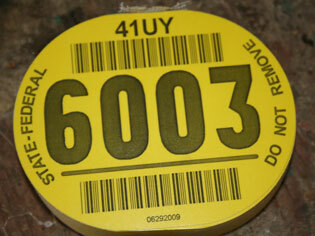 Used for identification of sheep/goats born on the premises associated with the flock/herd ID. For use at livestock markets or by accredited veterinarians. Begins with state abbreviation; eight characters total, last four or five are numerical. Available in plastic (for purchase) or metal (free). Effective 09/06/2018, metal serial tags will be orange in color. For any tattoo to be considered as official identification, it must be legible. Upon movement, the animal must be accompanied by a copy of the Certificate of Veterinary Inspection (CVI) listing tattoo and registration numbers. If registration numbers are not listed on the CVI, copies of the registration papers are also required. Copies of the CVI and necessary registration papers (if applicable) must be sent to the Minnesota Board of Animal Health. Lists the flock ID number and the complete tattoo number (including the state-assigned prefix and the animal number). Call the Board at 651-201-6809 to record a tattoo or to find out if a tattoo is already recorded.